Gluten and Allergen Test Kits – and More! Quick, easy, and accurate allergen test kits that detect gluten, egg, dairy, and more in foods and ingredients. Detect 5ppm gluten in less than 20 minutes. Perfect for ingredients, surfaces, and finished foods. Test ingredients, finished foods & surfaces for Nuts, Casein, Crustacean, Egg, Fish, Soy & Other Allergens! Deep-frying foods? Quickly check the quality and lifespan of your fryer oil by monitoring total polar content. Whether you are in QA/QC management or specialize in food science, food safety is an issue that you address daily. With consumers scrutinizing ingredient labels for myriad health reasons, the reputation of your company for producing allergen free products and eliminating allergen recalls is of paramount importance. Whether testing foods, beverages, or surfaces for gluten or allergens, or monitoring the quality of frying oil or water, our test kits help you minimize the risk of allergen recalls. Emport’s line of test kits can help you check incoming ingredients for traces of allergen contamination. Equipment and work surfaces can be tested quickly and accurately to ensure adequate sanitation between production runs. Processing can be validated at any point to ensure that your final product is within FDA guidelines for ingredient labeling and as allergen-free as consumers have come to expect. Emport LLC offers food safety tests that combine user-friendly design with rigorous scientific standards. Whether your specific concerns are with allergens, gluten, safe water or fryer oil quality, our products fit easily into your existing food safety program and can be used by teams of any experience level. Emport can help you meet your food safety standards, as well as meet the food hazard criteria in your HACCP, HARPC or FSMA control plans. 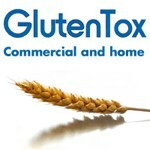 GlutenTox test kits are specially designed to help food processors keep their gluten-free items free of contamination. The test is robust, and has been validated against a wide range of matrices. GlutenTox Pro holds AOAC-RI Certification for both foods and surfaces and can test down to 5ppm. 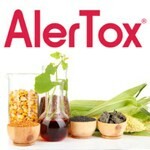 Our AlerTox allergen test kits detect traces of common FALCPA allergens: soy, milk, egg, fish, peanut and more! AlerTox is a great tool for validating your sources against food adulteration and maintaining FSMA compliance. The kits are easy to use, and can easily be adapted to testing surfaces. Oil quality is an important factor in the processing of deep-fried foods. 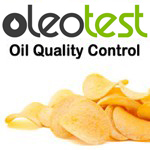 OleoTest is a rapid and accurate test method for analyzing the total polar compounds in fryer oil. OleoTest provides a concrete measurement that will demonstrate compliance in your food safety plan. Emport’s Best Practices are free, downloadable resources for quality control. There is no one-size-fits-all answer for gluten or allergen management; every facility carries different risks and will require a different approach. However, we’ve created several tools to help you on your way.